The warm fall day starts like any other at the Center—a women’s reproductive health services clinic—its staff offering care to anyone who passes through its doors. Then, in late morning, a desperate and distraught gunman bursts in and opens fire, taking all inside hostage. After rushing to the scene, Hugh McElroy, a police hostage negotiator, sets up a perimeter and begins making a plan to communicate with the gunman. As his phone vibrates with incoming text messages he glances at it and, to his horror, finds out that his fifteen-year-old daughter, Wren, is inside the clinic. Told in a daring and enthralling narrative structure that counts backward through the hours of the standoff, this is a story that traces its way back to what brought each of these very different individuals to the same place on this fateful day. 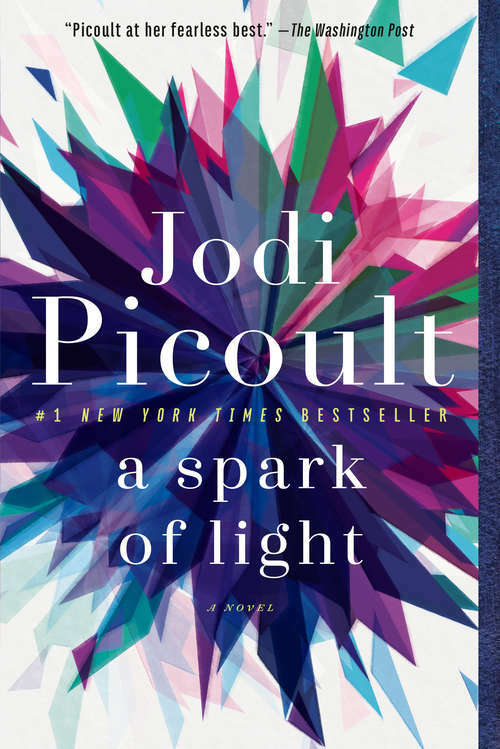 One of the most fearless writers of our time, Jodi Picoult tackles a complicated issue in this gripping and nuanced novel. How do we balance the rights of pregnant women with the rights of the unborn they carry? What does it mean to be a good parent? A Spark of Light will inspire debate, conversation . . . and, hopefully, understanding.